Dealership general sales manager Blake Schindler says working with vendors to offer service contracts for higher mileage vehicles is smart. As new-vehicle sales plateau, dealerships can look to boost profits by selling F&I products for used vehicles — even those with high mileage. 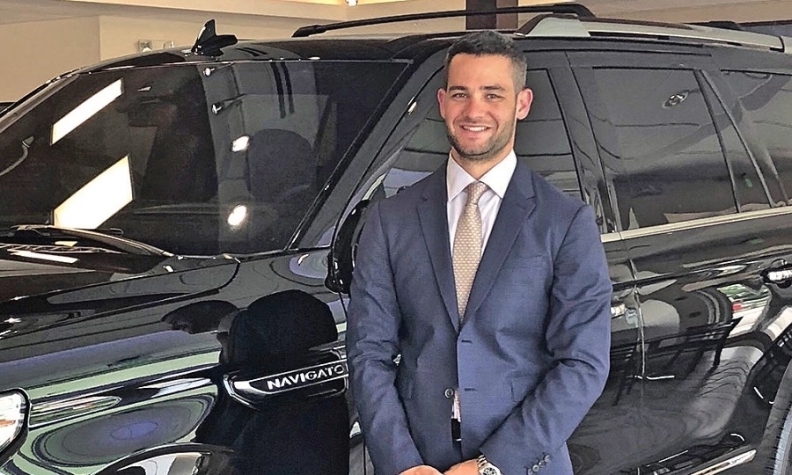 "Not only is that good for the consumer but it keeps the customer in the dealership," said Blake Schindler, general sales manager at Bob Davidson Ford-Lincoln in Baltimore. "We're happy to offer what we can to keep them with us." F&I penetration on used vehicles was 73.2 percent in 2017, according to the National Automobile Dealers Association, a high percentage, but still much lower than the 90.3 percent on new vehicles. Dealerships can often work with their F&I product providers to sweeten used-vehicle deals, said Stephanie Cooper, a finance manager for Timbrook Automotive, a dealership group with locations in Cumberland, Md., and Keyser, W.Va.
"In most of our vehicles, everything's covered by maintenance wearables. Sometimes you just can't get that for high-mileage vehicles," she said. "So that's why it goes back to your relationship with your service contractor. They are the ones that will work with you on those deals. Your providers should set up deals for you. ... A lot of times you can at least do a powertrain warranty." Offering warranties on such vehicles gives the sales team an added benefit for their customers, she added. Working with vendors to offer service contracts for higher mileage vehicles is smart for everyone involved, said Schindler. "It is always good when you have a car that's up to 80,000 or so miles to offer that coverage. That's when those cars start to have major powertrain problems and they're not covered by the factory," he said. "For [cost-conscious] customers, that definitely is a positive for them." Many dealerships, such as Timbrook Automotive's stores, actively promote F&I products for used-vehicle buyers. Consider tire and wheel coverage. While some offer complete coverage — no matter the wheels on the car — others take a more measured approach. Some dealers rule out coverage of chrome wheels. Others take vehicles case by case and carefully inspect wheels and tires before they agree to offer a warranty. And some factories, such as Toyota, streamline the process. Every Toyota customer, whether buying new or used, is shown a menu of products and accessories for which the vehicle is eligible. "A lot of this comes down to making sure all products are presented," said Karen Rowe, finance director at Elk Grove Toyota, in California. "I can tell you that they are presented here. There isn't anything left on the table." Certain products aren't right for some dealerships but may be big sellers elsewhere. Car alarms are one example. Customers at Elk Grove Toyota often request alarms, but shoppers at Cooper's and Schindler's dealerships lean more toward products that protect their vehicles' interiors. F&I managers can often find products that satisfy customers' specific wants. If more high-mileage, used vehicles were sold at Cooper's dealership, she would consider looking at which prepaid maintenance plans to offer. "When you get that higher mileage, you have a bit more service. It's nice to offer some type of prepaid maintenance beyond powertrain, even for routine maintenance such as oil changes, inspection of air conditioner sensor units and tire rotations. And that gives customers a chance to work with your good service department."